I was traveling for three of the five workdays this last week. If you have to be away from home, traveling to Yosemite National Park is not a bad place for a business meeting. A main conversational topic of our first day of meetings was the drought that California is currently enduring. While that is bad for California, my co-worker and I planned to take advantage of the clear skies to behold the grandeur of Yosemite on the morning before we had to travel home. Unfortunately, the weather did not cooperate with our sight-seeing endeavors. I awoke to the drizzle of rain cascading from rooftops. The prayers for moisture had been answered by a storm front that moved in while I slept in my hotel room. When I peered from my window, I could not see more than 100 feet beyond the pane of glass. A thick fog has settled upon the valley. It was not going to be a good day for sight-seeing. My co-worker and I had nothing better to do, so we went into Yosemite Valley despite the poor visibility. The rain turned into snow as we made our way into Valley. It was beautiful to see trees coated with snow in the spirit of Christmas. However, that was not what we had come to see. A canopy of clouds obscured the colossal glory of El Capitan, Half Dome, Yosemite Falls and all the other sites that loom above tiny observers in the valley below. 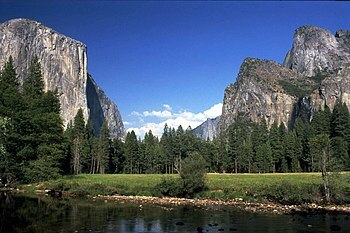 We stood in one of the most beautiful places on earth but were blinded to the very manifestations that make Yosemite special. We were blinded because we could not see above us. 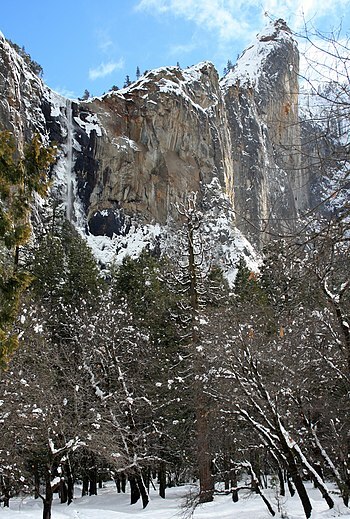 I would never know what I was missing, if I had not been to Yosemite before. I think many people stumble through life never knowing what they are missing. We stand in the valley of our reality, believing only what our eyes can sense, oblivious to the grandeur that surrounds us. We are continually surrounded by colossal glory but blinded to the miracles that make our lives truly special. He was instantaneously cleansing men of leprosy. He was causing paralytics to rise, pick up their beds, and walk home. He was making wine out of water. He was creating food out of nothing. He was restoring a withered hand. Yet, the Pharisees were more concerned about when he was doing the miraculous rather than acknowledging what He was doing. They refused to look up. If they acknowledged what He was doing, then they would have to acknowledge who He was. They were blinded by the hardness of their hearts. They were experiencing the most spectacular events of all time but they were oblivious. They were in the presence of the King of Kings, but could not recognize Him. They were blinded by their religion. We all can become blinded by very good things. The Pharisees valued the keeping of the law more than the fulfillment of the prophecies that were literally happening before their eyes. The law was a wonderful gift but it was never greater than the Giver. We have been blessed by so many gifts from our heavenly Father. All good things have the potential to lower our eyes into the valley when we should be looking up into the glorious. May we never miss the colossal grandeur that continually surrounds us by being content with good things. Let us always set our eyes on the Great. PRAYER: Lord, Your Word is light to us. It is power and life. It clears away all that blinds us. Lord, let that light, that life, that power, that truth break upon the darkness of my heart. Keep my eyes set upon you. Whatever hardness of heart may be in me, let your light shine, may the light of the gospel, the glorious gospel, shine in and through my heart; softening me to see all that you are and the glorious that surrounds me I pray this in the precious name of your Son, Jesus Christ. Amen. Haven’t been to Yosemite yet, but I love Glacier and Rocky Mtn. NPs. Still, not as amazing as our Jesus. The clarity with which the gospel writers present His message and new Kingship are impressive! I love John 9 (and 7, and 8, and 10, and 3 . . .). Wow, that was beautifully expressed. Loved it. Need to go back. It’s been 20 years, at least. Great post! Must be the Lord’s really wanting to remind us to look up…that’s what I wrote about today. So let’s keep looking up, even through fog, haze, and problems! 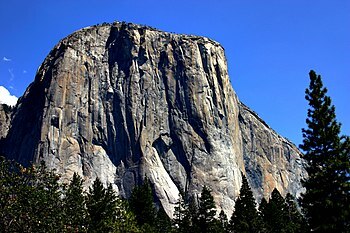 I’ve been to Yosemite, and I get what you are saying. Great analogy! “The law was a wonderful gift but it was never greater than the Giver.” Well-said. Thank you for sharing with us a Godly message!! !